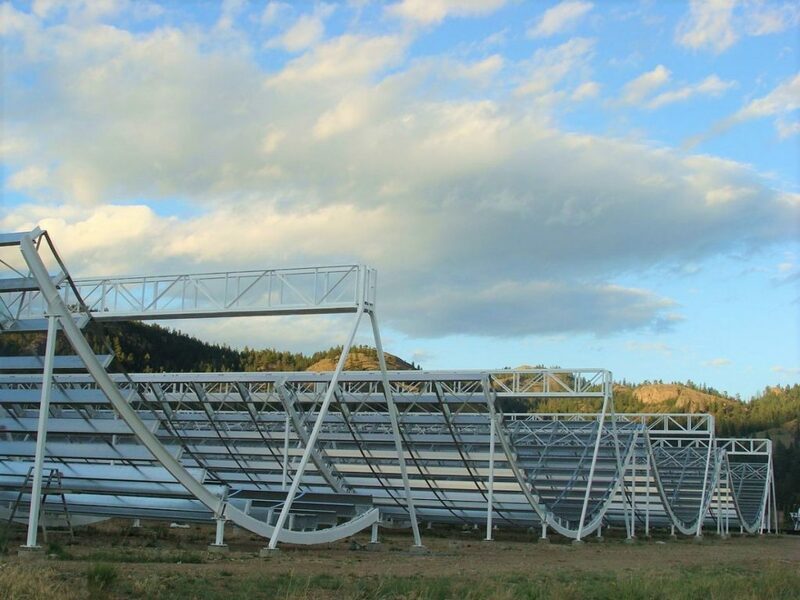 The CHIME radio telescope in Canada | Canadian Hydrogen Intensity Mapping Experiment (CHIME). These signals are known as ‘fast radio bursts’ or FRBs. Intriguingly, the team also saw a source of repeating bursts (in Nature). These are repeating bursts of energy originating from a single point in the sky, probably far outside the Milky Way. The first ever FRB ever seen was in 2007, so these are a recent mystery. The bursts only last for a few milliseconds (hence ‘fast’) but they are also very energetic. They contain as much energy as the Sun emits in 80 years all packed up into a blip. 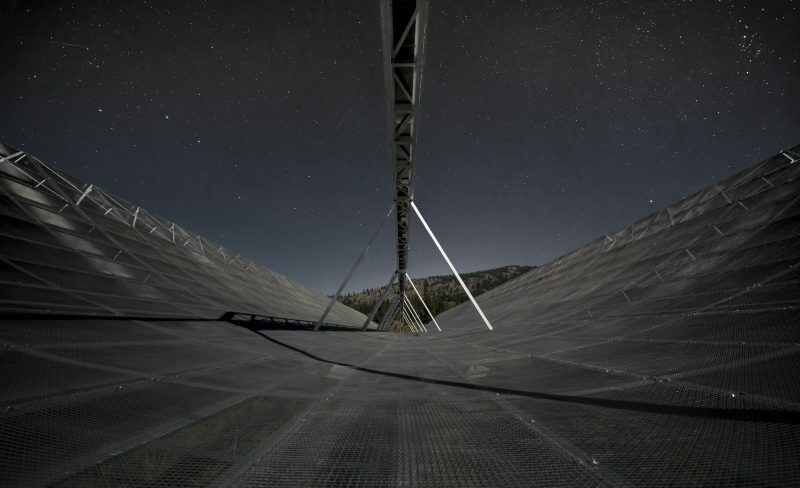 The CHIME telescope has four antennae that are 100 metres long. Its location in British Columbia means it covers the Northern sky. The FRB signals came when the CHIME telescope was not functioning at full capacity since it was in calibration phase which means that there could be many more FRBs waiting for us to spot when it is switched on fully. This repeating signal is the second of its kind ever seen. The first one was seen in 2012 and the signal indicated that it originates from a galaxy 2.5 billion light-years away from us. It was exciting for the astronomers who saw this second signal as it showed that the first repeating FRB was not just a freak event. Discovering the origin of these bursts will be an interesting road to follow as it will hopefully reveal some new insights into the structures of galaxies. Lower-frequency FRBs, such as the one recently seen, contain information about their origins. The way in which the light is scattered can reveal information about star formations within the galaxy and what sorts of gases are swirling around. There have been wild speculations as to the source of these FRBs, which some hypothesize could be merging black holes or could have a connection with gamma-ray bursts. Naturally, extraterrestrial life pops up with fun theories about space ship propellant. When the first pulsar was discovered, it was also hypothesized to be from alien sources as well since the period between pulses was so regular like clockwork. Instead of an alien beacon, the pulsar is a rapidly rotating neutron star emitting a beam of radio waves.